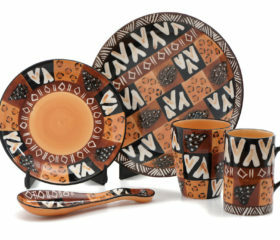 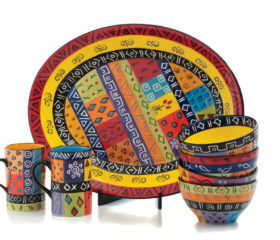 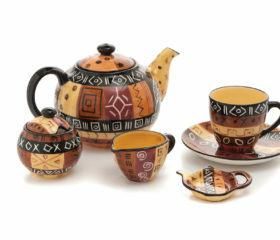 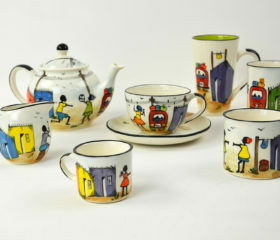 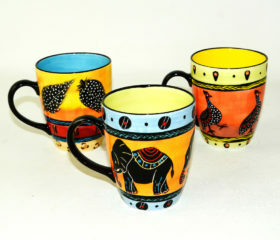 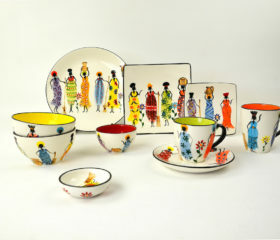 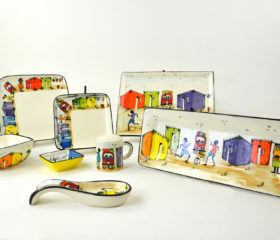 Quality range of african hand-painted ceramics, each item has been made from good quality clay to ensure that each item is dishwasher and microwave safe. 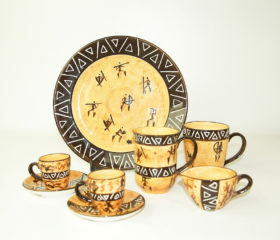 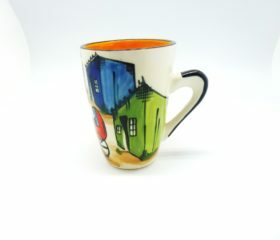 All designs are original and each ceramic piece has been painted by very talented artists and ensure that you are purchasing a unique product. 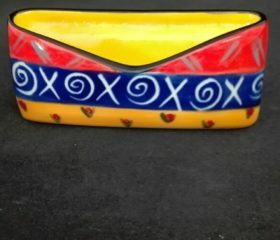 In this range we have ashtrays, business card holders, bowls, burners, butter dishes, cheese platters, coasters, dishes, egg cups, jewellery boxes, milk jugs, cups and saucers, mugs, cappuccino set, sugar bowls, tea bag holders, spoon rests, salt & pepper sets, tea-light holders, planters and various platters. 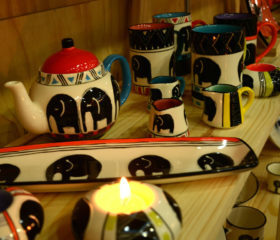 The township scenes are very popular for conference gifting and other african designs include the African Beat, Animal print, Safari, San People, Fat Ellies, Multi coloured ethnic, African Ladies and Township scenes. 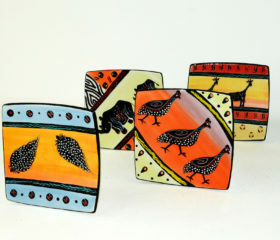 Supporting local artists!